The Axio Imager is an optical microscope equipped with next generation optics that have superb contrast and excellent resolution. The microscope design is optimized for maximum stability and vibration-free work. Many functions, including objective lens selection, are touch screen controlled for easy to obtain and repeatable results. The system has a 4”x4” stage and is configured with bright-field, dark-field, and simple polarizing objectives. 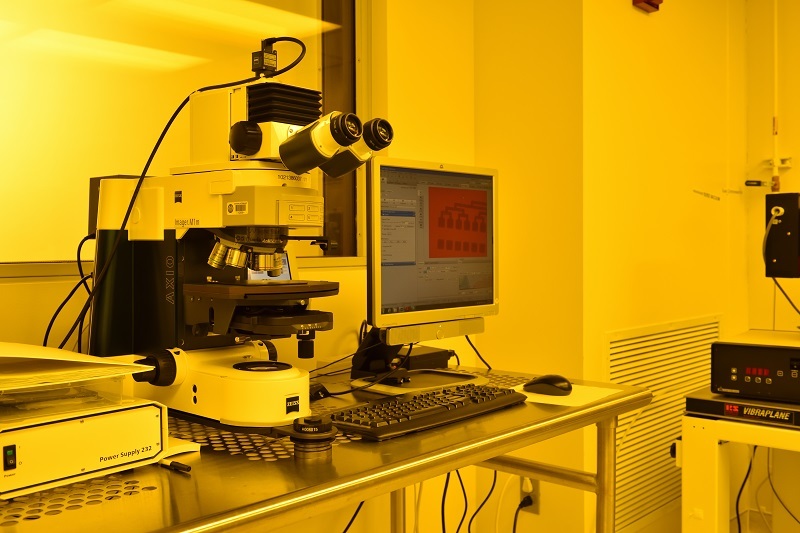 The microscopes are fitted with an Axiocam 105 Color Digital Camera and a PC with Zeiss ZEN 2.3 pro software.